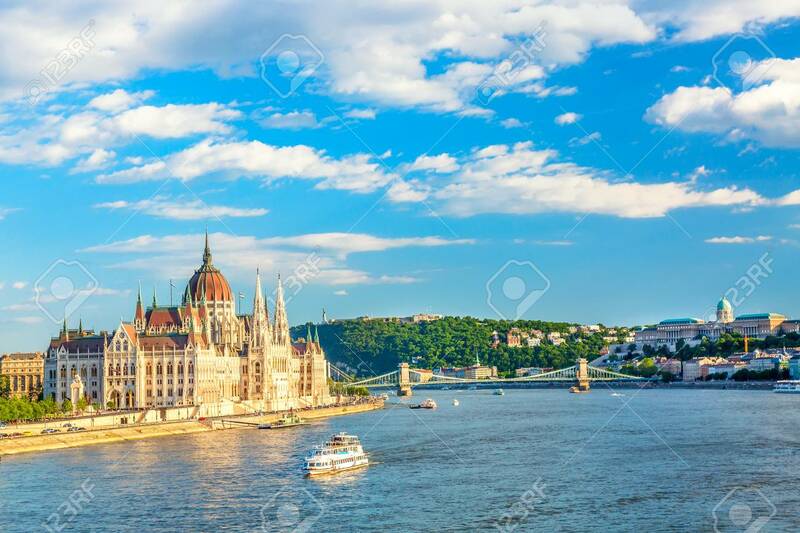 Parliament And Riverside In Budapest Hungary With Sightseeing Ships During Summer Sunny Day With Blue Sky And Clouds. Travel And European Tourism Concept Fotos, Retratos, Imágenes Y Fotografía De Archivo Libres De Derecho. Image 116535747.